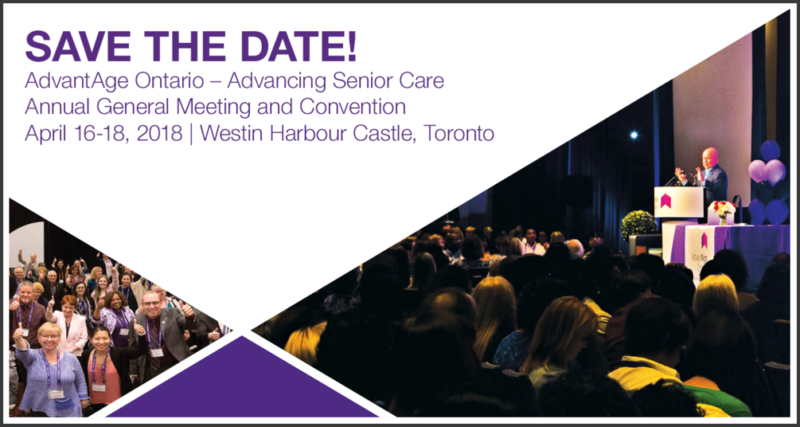 The AdvantAge Ontario Annual General Meeting and Convention, taking place in Toronto from April 16-18, is your annual professional development event! Take advantage of inspiring, actionable education opportunities, including remarkable keynotes and timely, topical education sessions that cover the most pressing issues in seniors’ care. Enjoy unrivalled network-building opportunities to build supportive relationships that offer inspiration and guidance all year long. Finally, benefit from attending our sold-out trade show, which features leading companies showcasing the newest developments in technologies and products that support meaningful improvements in seniors’ care. For over 95 years, AdvantAge Ontario has been the provincial association representing not-for-profit providers of long term care, services and housing for seniors. Our member organizations serve over 36,000 long term care residents annually, and operate over 8,000 seniors’ housing units across the province. Visit www.advancingseniorcare.ca for more information and to register.